2) ASSESTAMENTO AL BILANCIO DI PREVISIONE 2016 E TRIENNALE 2016/2018 – ART. 175 COMMA 8° DLGS N. 267/2000 E SALVAGUARDIA DEGLI EQUILIBRI – ART. 193 DEL D.LGS N. 267/2000. 3) PRESENTAZIONE ED APPROVAZIONE DEL D.U.P. 2017/2019 – PUNTO 4.2 DELL’ALLEGATO 4/2 AL D.LGS N. 118/2011. 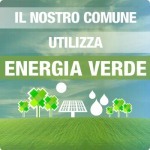 4) NUOVO PATTO DEI SINDACI (COVENANT OF MAJORS FOR CLIMATE AND ENERGY) – APPROVAZIONE DEL PIANO D’AZIONE PER IL CLIMA E L’ENERGIA SOSTENIBILE REDATTO NELLA VERSIONE D’AREA DENOMINATA “AREA ADIGE DELTA DEL PO” – JOINT SEAP OPTIONS2. 5) APPROVAZIONE PIANO DI ILLUMINAZIONE PER IL CENSIMENTO DELL’INQUINAMENTO LUMINOSO (P.I.C.I.L.). 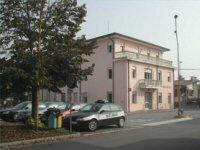 6) ADOZIONE VARIANTE N. 1 AL PIANO DEGLI INTERVENTI.